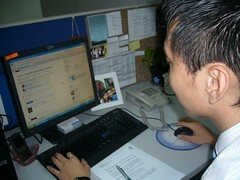 Caught Twittering or on Facebook at work? It’ll make you a better employee, according to an Australian study that shows surfing the Internet for fun during office hours increases productivity. According to the study of 300 workers, 70 percent of people who use the Internet at work engage in workplace Internet leisure browsing.